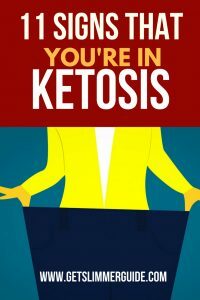 Symptoms and Signs You are in Ketosis: How to Know You are in Ketosis! What are the signs you are in ketosis? That’s a question every keto diet beginner wants answers to. So, in this post, we are going to discuss how to know you are in ketosis. As someone who is doing the keto diet for weight loss, you should always strive to be in ketosis, because that is what will help you lose weight. Before we go on to discuss how to know that you are in ketosis, let’s first explain what ketosis is. Ketosis is the metabolic state whereby your body burns fat to produce ketones for energy because there is not enough sugar available in your body. Keto is a low carb high fat diet, meaning that the bulk of what you eat is fat. Because of this carb restriction, your body is forced to burn the fat already stored in your body to produce fuel that powers your system. This is what is referred to as ketosis. While on the keto diet your body undergoes many biological adjustments, which include increase in fat breakdown and insulin reduction. At this point, the liver starts producing large amounts of ketones to supply energy to your brain. Now let’s get back to how to know you are in ketosis! The multitude of changes that your body undergoes when you first start the keto diet might throw you into confusion as to what is going on in your body. The ketogenic diet causes you to lose a lot of water and salt through urination. This loss of water is what causes dry mouth and increased thirst. Believe it or not, this is usually a good sign that you are on the right track to ketosis. However, it is important to drink plenty of water when you are on keto diet to replenish what you re losing. Add some himalayan pink salt to your water to replace the lost salt or you can take this mineral supplement. As your body starts breaking down fats, it produces high amounts of acetone, which is excreted through urine and breath. The bad breath can be a bummer and is usually pungent and sharp. Fortunately, the bad breath does not last forever, and as your body gets used to producing and using ketones, the acetone production reduces. Keep in mind that bad breath does not mean you are in ketosis; it just indicates you are on the right track. To remedy this, use sugar free toothpaste, I like this one because it is also flouride and SLS (sodium lauryl sulfate) free. The low carb high fat diet of keto works as a natural diuretic. Carbs restriction leads to a decrease in insulin levels, which causes your body to release the excess water that has been stored in your body. And you release this excess water through urination.So get ready from frequent bathroom trips! When you are on ketogenic diet you eat more of fats and protein which, take longer to digest, thereby keeping you full longer. As you enter the ketosis stage, your liver begins to break down fats to produce ketones for energy. Thus, you eat less, but feel fuller and more energized. So no more food cravings or binging! This is because your body is now depending on energy from ketones from fats. When you go on keto diet, your body will undergo some changes. However, these changes vary from person to person. You may notice that you can go for days without going to the loo. The chances are that this is due to the change in the mineral levels, hydration status, and fiber intake. Thus to solve this add low carb vegetables to your meals and drink plenty of water. Ketosis might also cause a decrease in the ability of your body to hold excreta thus causing mild diarrhea. This can also lead to more water loss. Before the liver starts increasing ketone production you may notice a decrease in physical and mental performance. As the body adapts to the carb restriction you will experience increased energy and focus that is slightly higher than before keto dieting. You will have difficulty sleeping during the first few weeks of keto diet. This is because your body is transitioning from depending on carbs for energy to depending on ketones. Though your sleep cycle might be interrupted for a brief time, your body will get back to normal as it gets accustomed to the ketogenic diet. Oh yeah, I know! I just mentioned fatigue as one of the signs of ketosis. And here we are talking about increased energy too. Sounds wired, doesn’t it? Well, the fact is that the fatigue you experience is short term. Once your body starts relying on ketones for energy, it will need less sugar. Remarkably, your energy levels will peak throughout the day, which manifests itself as increased focus and physical strength. I guess weight loss is the main reason you decided to go on keto diet. And for sure weight loss is one of the signs you are in ketosis. Most people lose about 2-5 pounds in the first two weeks of the ketogenic diet. 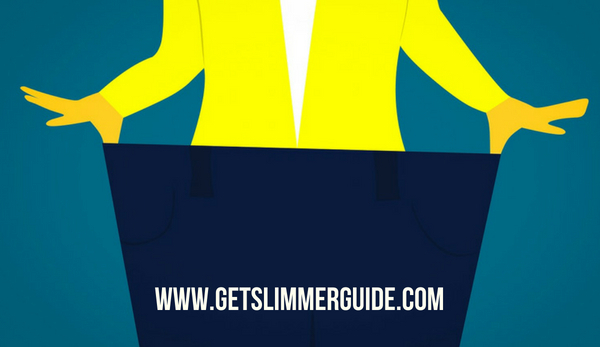 After the initial rapid loss of weight, you should consistently continue losing weight as long as you stick to the diet. Increased blood ketones is one of the surest signs you are in ketosis. The hallmark of the ketogenic diet is the decreased blood sugar levels which are followed by an increase in ketones. You can monitor your blood ketone levels with this ketone blood meter. You can also use these more very affordable ketone urine strips to check the ketone levels in your urine. How Long Does it take to go into Ketosis? Now that you know the signs that you are in ketosis, you may be wondering how long it takes to get into ketosis. The reality is that if you follow the guidelines of the keto diet and stay consistent, then you should be in ketosis in no time. Having said that, how long it takes to enter ketosis is different for different people. This is because we are all different individuals and our bodies respond differently even when exposed to the same exact thing. Some people go into ketosis within 2-3 days after starting the keto diet, but it can take longer for some people. If you stick to the keto diet, you will probably enter ketosis by the end of the first week. Here is a comprehensive keto grocery list to help you know what you are supposed to eat on this diet. Stay healthy! It’s important to know the signs of ketosis. However, bottom line is, testing blood ketone levels is the most accurate way to measure and know if you are in ketosis or not.